Just a bit of a warning, this is the first in a few wardrobe diary posts that I’ll be doing from our Halifax and Montreal trip in September. Sure it is a bit late but I am constantly running behind on outfit posts. You guys don’t mind though, right? So, packing for our trip was a bit of a challenge. We were going to be gone for 10 days and I only wanted to bring a medium sized suitcase with enough extra room for purchases. This was one of the two dresses that got the most wear and I think they both will become travelling staples. I picked them up on sale at Winners and let me tell you that these little numbers are amazing! You can roll them into a tiny ball and when you want to wear them just give a shake, pair with a petticoat and they become nice and fluffy, perfect for twirling. This particular outfit is from our first full day in Halifax. After breakfast, we made a wrong turn and discovered a little boutique called Pretty Things. I went in thinking it would be the typical store that only went up to a size 12 maybe 14 but I was wonderfully surprised that they had an entire plus sized section! I was in heaven. If you are in Halifax I would highly recommend this store. Their selection is quite large, the store is beautifully decorated, and the staff were all incredibly sweet and helpful. I actually picked up two dresses but I have not worn either yet. I’ll be sure to post photos when I do. Oh and the extra bonus…turns out that Molly from Hobo with a Shotgun works there so Gary had someone to hang out with while I made my decision. It was a wonderful day filled with old friends and new in a city that completely captured our heart. 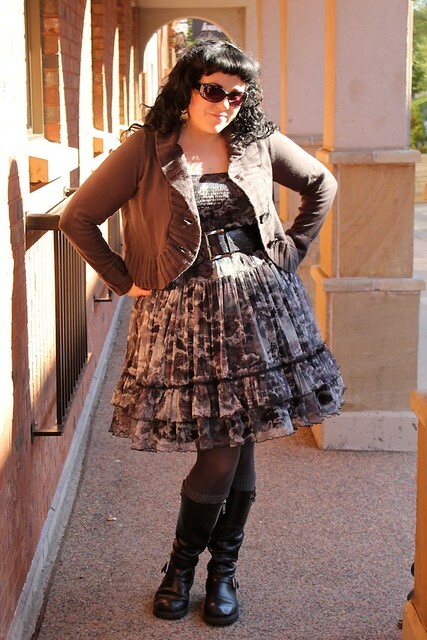 You look amazing – love that dress and petticoat! 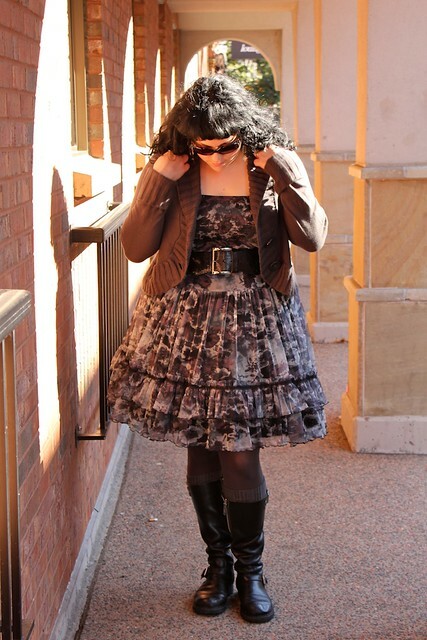 I seriously need to get me a petticoat! Thank you! 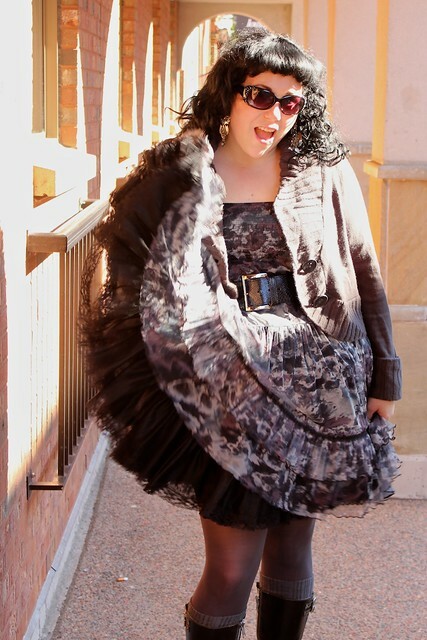 I would definitely suggest getting a petticoat. I admit I was a bit worried it would not get that much use but I wear it at least 2 times a week. In fact I just ordered two similar ones from Domino Dollhouse in green and burgundy so that I can start switching them up. I can’t wait for them to arrive! THe staff at Pretty Things were so excited that you and Gary dropped in. I’m looking forward to seeing what you picked up there! Oh are you from Halifax? Stopping into Pretty Things was definitely one of the highlights of our trip. Everyone there was rad as hell and so sweet. 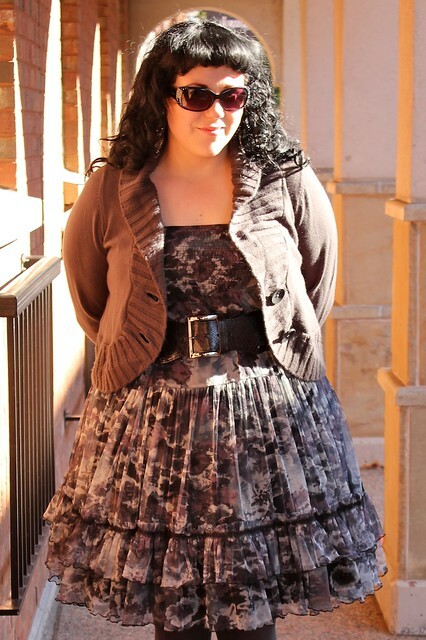 I picked up a pretty purple dress and a black lace dress that was on sale. They are just a bit too much for a regular work day but I am hoping to get a few wears out of them over the holidays.